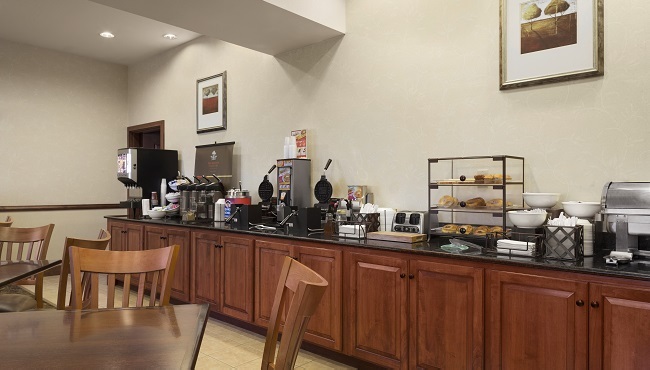 Wake up every morning to the complimentary, hot breakfast at the Country Inn & Suites in Crestview. 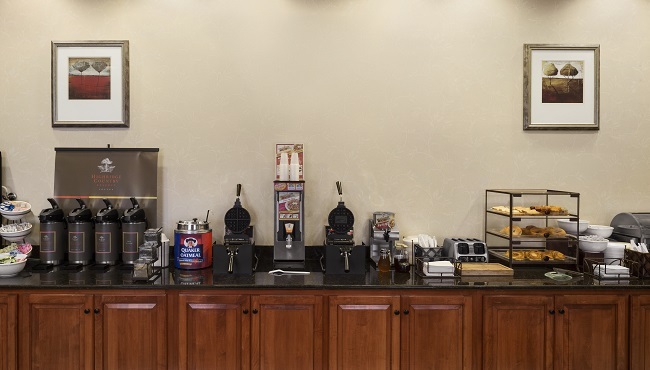 With our rotating selection of hot items, you can take your pick of options like a biscuit sandwich bar, scrambled eggs with country potatoes or sunny-side-up eggs with sausage. For a sweet treat, make your own Belgian waffle or dig into oatmeal with brown sugar and chocolate chips. When you’re ready for lunch or dinner, choose from several nearby restaurants, including The Wild Olive Restaurant and Wayne’s Catfish House.